A drunk driving charge, financial troubles, a serious accident – no one expects these things to happen – but they do. And they can make you feel anxious, overwhelmed, or unsure of where to turn. Our office can help. Attorney Gindes has the experience you need to get your life back on track. We will handle your situation quickly, quietly, and effectively, and we promise to treat you with the respect and confidentiality you deserve. As an established Massachusetts courtroom lawyer representing clients in both state and federal courts, Attorney Gindes has extensive experience in all types of litigation, from Criminal Defense to Personal Injury to Bankruptcy. Please click on one of the links above to learn more about his areas of expertise. 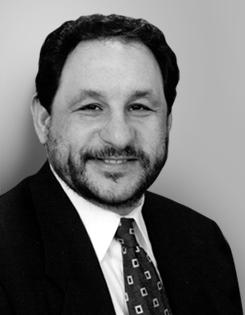 Or click on About Dan to learn more about one of the Boston’s finest attorneys. Remember – choosing a lawyer is an important matter – it’s just as important as choosing your family doctor! "I have used Attorney Gindes for a number of years for both personal and business situations. I have always found Dan to be very attentive to detail, extremely thorough and well prepared. These traits have proven most beneficial to me and I highly recommend Dan for any situation that calls for an attorney."